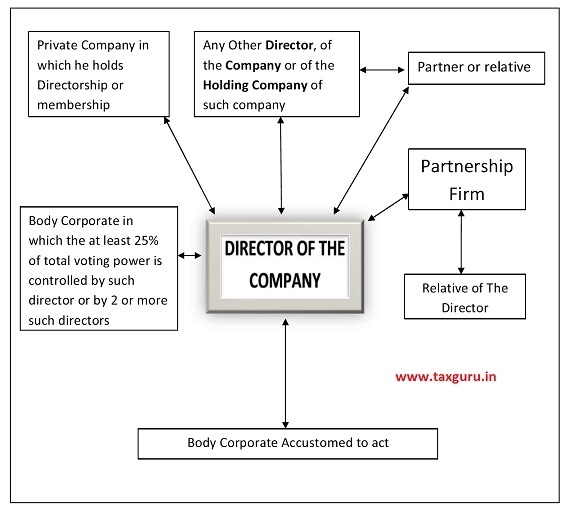 No Company shall directly or indirectly give loan to any of its directors or any other person in whom the director is interested, or provide any guarantee or security in connection with the loan taken by him or other person. 1. Giving of loan to Managing Director or Whole-time Director, pursuant to conditions of services extended by the Company to all other employees or, any scheme specially approved by members Special Resolution (SR). 2. Loan given by the Company in the Ordinary Course of Business but the amount of interest on such loan shall be atleast the rate of interest prescribed by RBI. 3. Loan given to Wholly-owned Subsidiary Company (WOS), or guarantee given to WOS against the loan taken by it. 4. Guarantee given by the Holding company against the loan taken by its Subsidiary Company from bank or financial institutions. Provided the loan made under point 3 and 4 above must be utilized for the furtherance of its principle business activities. a) Government Companies – Provided such company had attained the approval from the concerned ministry or department of Central Government and/or State Government prior to giving of any loan or guarantee or security. b) Nidhi Companies– Provided the loan given to director or its relative has been given in their capacity as member, and such transaction is given as a note in the Annual Accounts of the Company. iii. No default has been made in the repayment of such borrowings which are subsisting at the time of making transaction under this section. 1. Company Minimum INR 5 Lacs and Maximum INR 25 lacs. Fine of Minimum INR 5 Lacs and Maximum INR 25 lacs. The Offence, if any, which occurred in the contravention of Section 185 of the Companies Act, 2013 is of Compoundable Nature. Note- The above article is being shared with the intention of sharing knowledge and shall not be taken as legal opinion. Further, any technical query can be mailed at cs.santosh.com@gmail.com.